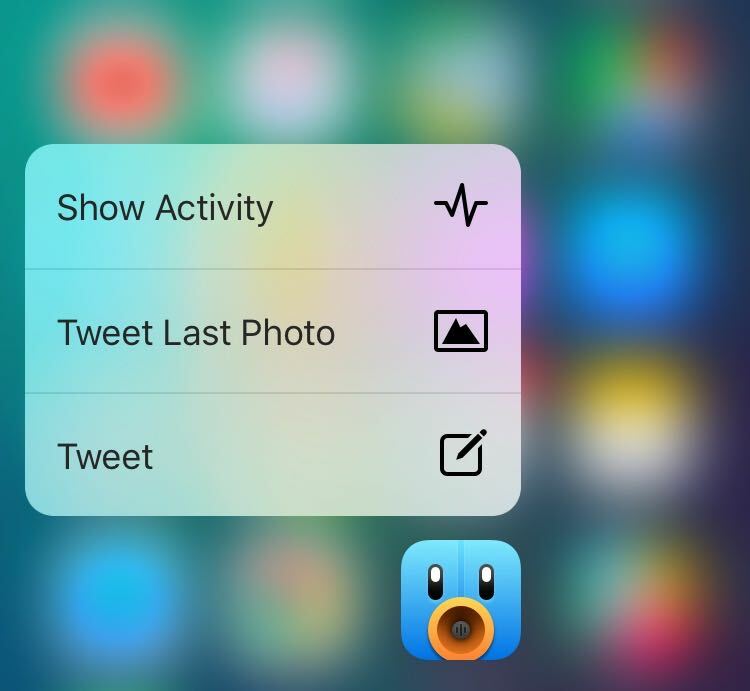 Following its launch of the major Tweetbot 4 update, now a universal app for the iPhone, iPod touch and iPad, developer Tapbots today issued a timely update focused on 3D Touch. If you own an iPhone 6s or iPhone 6s Plus, you can now press Tweetbot’s icon on the Home screen firmly to access the following handy shortcuts: Show Activity, Tweet Last Photo and Tweet. If you have unread notifications sitting in Tweetbot, this menu will provide additional options to reply to a mention or reply via a Direct Message. In addition, Tweetbot now supports Peek and Pop gestures in the timeline. You can Peek into stuff in your timeline by pressing the display firmly, or a little harder to Pop into content. If you Peek into a tweet and then drag your finger upwardly, a sheet appears with options to favorite the tweet, retweet it to your followers, quote and reply to it. You can also press firmly on profile pictures to Peek into the user’s Twitter profile, preview URLs in tweets and much more. As you may have guessed, you can also use Peek and Pop gestures on images embedded in tweets. 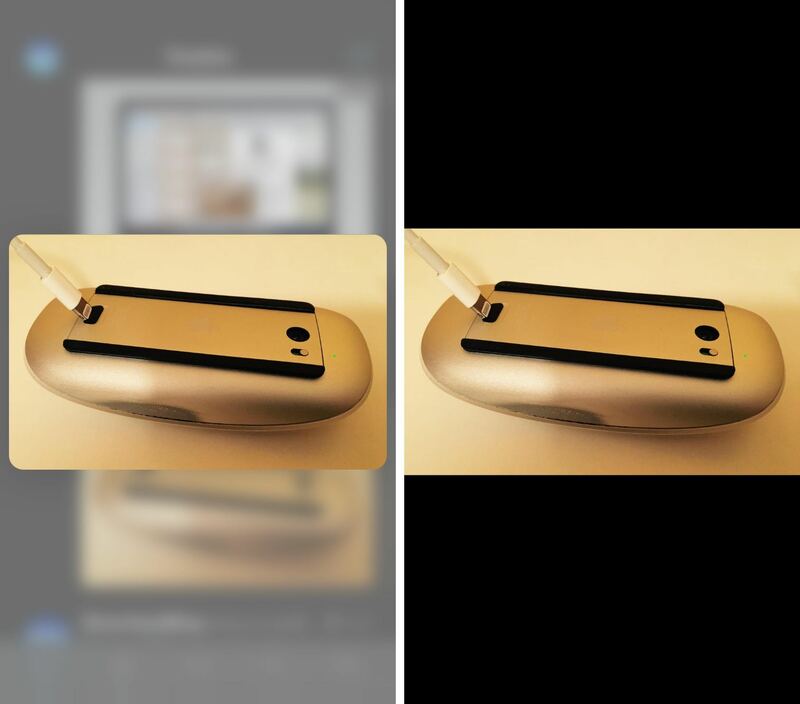 Here’s what Peeking into a tweeted out image looks like, at left, versus tapping on an image link in a tweet, at right. If you press a little harder, you’ll Pop into the image as if you tapped on its link. In fact, your can pretty much Peek and Pop into anything tappable in your timeline, including embedded media such as Vines, animated GIFs and so forth. 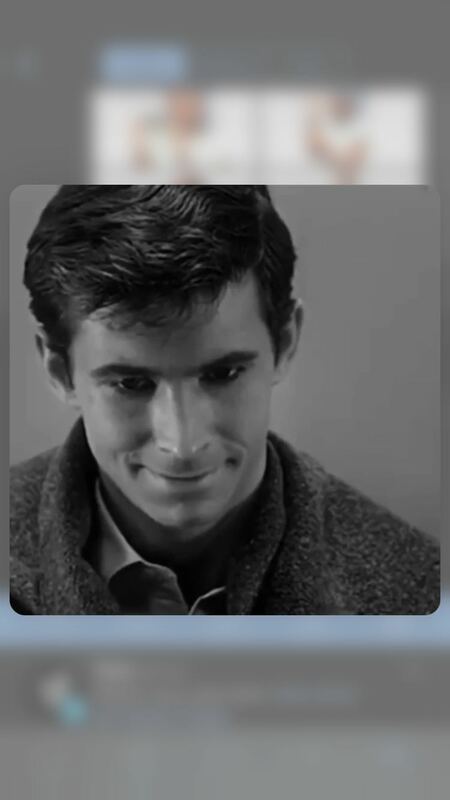 Here’s what Peeking into a tweeted out animated GIF looks like. In addition, Tweetbot will open YouTube links in Google’s official iOS app, if installed, and you can now swipe back to dismiss its built-in browser. 3D touch peek and pop support in the timeline. We’ll add it to more places in future releases. 3D touch home screen quick actions. Localized for French, Spanish and Japanese. More coming. 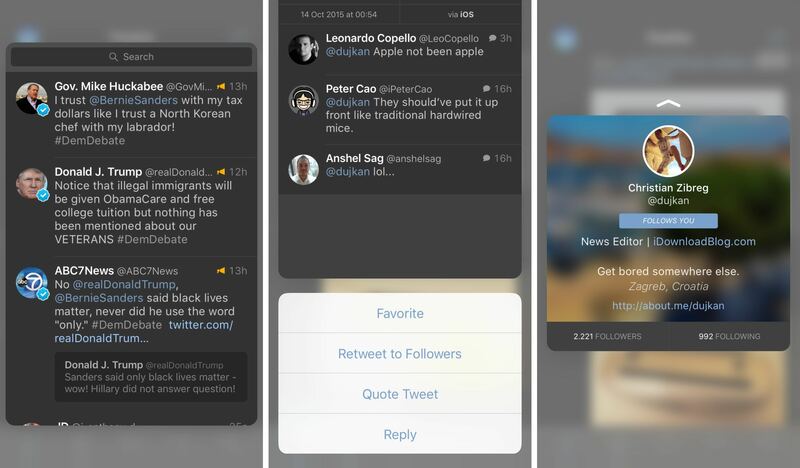 Tweetbot 4 launched last week as ar long-in-the-making update with universal support for the iPhone and iPad, iOS 9’s new multitasking modes, the new Activity and Statistics tabs and much more. Tweetbot 4 requires an iPhone, iPod touch or iPad with iOS 9.0 or later. The app is localized in English, French, Japanese and Spanish. Tweetbot 4 for the iPhone, iPod touch and iPad is $4.99 in the App Store, a fifty percent time-limited discount to celebrate the launch. Tweetbot for Mac is $9.99 in the Mac App Store.